Throughout the years CBS has been the most consistent network regarding the ratings. It is not usually the network with the most hip and original series, but they have a solid and loyal audience; even when their shows (at least the dramas) feel like 10 different versions of the same thing. CBS is also the network with the most shows I DON’T watch. That’s not to say that they are bad shows necessarily, but my heart lies with serialized dramas and CBS has a preference for procedurals. The only CBS show I like a lot is Person of Interest and I only started watching it because of the cast (Jim Caviezel, Taraji P. Henson and Michael Emmerson) and JJ Abrams’s involvement. Let’s start with the comedies. I really don’t know what is going on with Two & Half Men anymore. I’ve heard everything, from Charlie Sheen wanting to return to Miley Cyrus replacing the half-man Angus T. Jones. After a while I lost interest in keeping up with the news so I have no idea if the show is ending or not. If it was up to ratings it would be renewed, but it could [and it should] end after this season. Another endangered comedy is Rules of Engagement. They may decide to cancel it, regardless of what happens with Men. For the dramas, Vegas will be gone after this season. I never got a chance to watch it. I was actually excited for Vegas, but then the ratings came and I knew it was going to get cancelled. I am actually surprised it is still on the air. The second drama headed for cancellation is CSI: NY. On top of those two there is a chance they want to cancel a third drama. It could be The Mentalist or The Good Wife, but most likely it will be the newest: Golden Boy. The recently premiered drama had a 1.8 and 1.6 rating for its first and second episode respectively. If we judge it as a TV show in general those were pretty decent ratings, however as a “CBS show” they were not impressive. I haven’t checked out this show yet, but I heard good comments about it, so I might give it a try this week… but I wouldn’t get too attached. If Two & Half Men goes, there is a chance they may keep Rules of Engagement. Vegas is absolutely going to get cancelled. I think they might be trying to justify keeping CSI:NY on the schedule. I am 50/50 on this one. CSI:NY is underperforming, but it is part of their brand and who is to say the next drama on Fridays will do better? But they are cancelling at least two dramas and maybe three. I don’t agree with this decision but if one more drama goes, my gut also tells me it will be Golden Boy. I don’t think the show will retain the ratings of the first couple of episodes and that is all CBS needs to decide to axe it. 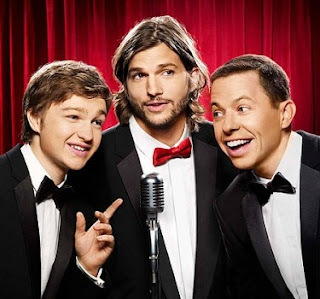 Two & Half Men should go, it should have ended years ago… it is just a shadow of what it was and, amazing as it is that it still gets high ratings, it is just detrimental to the image of everyone involved. Even with my undying love for Neil Patrick Harris, I also feel that HIMYM has been on the air too long and wouldn’t mind it ending, but clearly that is not going to happen. I don’t care about Rules of Engagement. I would like to see a new comedy on its time-slot I guess; hopefully something fresh and not offensive. I haven’t even seen Golden Boy, but I wish they would cancel The Good Wife instead (their ratings are similar). 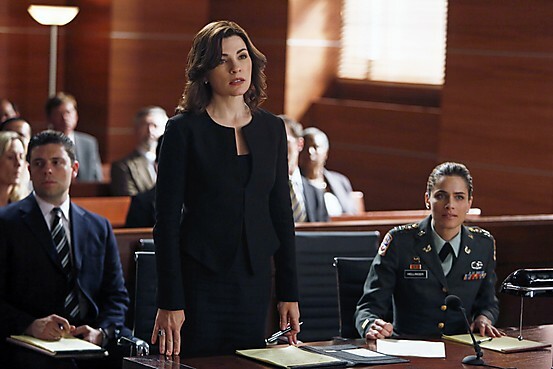 The Good Wife was always an under-performing show that stuck around due to critical acclaim. I do commend CBS for keeping at least one show due to favorable critiques and not only ratings, but I think they have been championing The Good Wife for one too many years. Fans may kill me for this, but I never quite got all the adoration for The Good Wife. Don’t get me wrong, I don’t think it is a bad show at all! Good writing, good acting, good overall… but it isn’t Breaking Bad for god’s sake! Let’s not exaggerate with our love for it. The Good Wife, Elementary, Person of Interest, 2 Broke Girls, NCIS: LA, The Mentalist, Mike & Molly, Hawaii Five-0 and Blue Bloods have been renewed. Everything is going as predicted so far. I am guessing they are going to cancel Golden Boy after all. Not much new with CBS lately. Just confirmation of what we were expecting. It looks more likely that CSI:NY will be cancelled. The general opinion is that Rules of Engagement will be gone too, but for some reason I believe it will get renewed. This is more a gut feeling than logic. Last Wednesday CBS renewed Two and a Half Men. From a business point of view, I guess that decision makes sense. From an art, integrity, brand image point of view I think it is awful. That show has lost its way and keeping it around is just hurtful to TV, but you know... money rules. Ashton Kutcher and John Cryer are set to return, but they will have to look for a new 'half man'. So let the casting speculation begin! The fact that this show was renewed makes me doubt my previous prediction that Rules of Engagement may get picked up. The remaining drams will certainly be gone, except for Criminal Minds. One week before upfronts! Here are my last predictions, CBS isn't as hart to predict as other networks. After upfronts you are welcome to congratulate me or mock me, depending on how my predictions go. That was a great article. As a non-American I'm not aware of the more subtle nuances of different networks...that made for a very interesting read. As far as the three dramas on the bubble go I wouldn't be heartbroken over either the mentalist or the good wife ending...I used to think the good wife interesting, even edgy, but I haven't been able to discern where it's supposed to be going for a while now...I would be very interested to know where Golden Boy is headed. I can't say much since I've only seen two episodes, but it feels different from other classical procedurals and it has a pretty amazing cast. Maybe the audience will get the chance to decide whether this show is worth its time or not before it is prematurely axed? Yes, I don't really mind which show they cancel and I am definitely curious about Golden Boy, hopefully I'll be able to watch it sometime this weekend.